Today, I’m excited to share a new Beginner to Blogger interview with one of the first blogs I connected with after launching Personal Finance for Beginners. Duke of Dollars is run by the two “Master Dukes,” Chris and Jack. My name is Chris and I run Duke of Dollars alongside my co-author Jack! We’re at different stages of financial independence, giving a viewpoint for people just starting FIRE or those who are close to completing their goal. Both of us relish in discussions on personal finance and personal growth, which leads us to write anecdotes and wisdom from our lives as we grow through its adventures! There were a few moments that when all summed up truly solidified the ideals of FIRE for me. I’ve talked about a few in other interviews, so felt that I’d share a new one today! As the first year of my college experience began (~18 years old) with the traditional “onboarding” week, I had an opportunity to attend this talk by one of our school leaders (Joe). He talked about the importance of paying off student loans and how during college could be a good time to do so, since you could pay directly on the principal, among other topics like budgeting as a college student. Joe told us his friend made decisions based on that phrase and used it as an excuse to make poor financial decisions. One example was going on a family vacation to Disney World one year. Bob couldn’t actually afford the vacation, and our school leader told us about trying to convince him to save up to do it another year. No thanks – “You only live once so we are on the way!” Bob said. Bob didn’t take time to save, only continued to spend money on the things he felt were worth the money spent even if it came in the form of credit card debt. Then the 2008 financial crisis happened! Bob lost his job, couldn’t afford his credit card payments, car loans, or mortgage. He was like a fish out of water! Fortunately, Bob knew Joe, and Joe was a kind man who helped his friend out with the requirement of getting his financial kingdom in due time! We’ve talked about whether or not you should loan friends money before! To end the story, Bob was able to start saving with many of the common frugal tips personal finance bloggers write about – make food at home, stop buying Starbucks (unless you’ve won free Starbucks for life), cut the cable cord, etc. He took control of his finances and thankfully stopped using YOLO as a crippling yet fun excuse. This hit home for me! I related to this story as a young gun because at the time my family was going through our own version of financial trouble. The thought of that happening to my future family terrified me, it still haunts me today, and thus another reason to be financially responsible was tattooed into my value system. Comprehending the difference between being cheap and being frugal! When first beginning my personal finance journey, cheap was the most taken route for me due to having low income. As I graduated, there were times where I landed at a fork in the road for making a purchase decision – cheap or quality? What I learned was the importance of weighing the costs of buying cheap over time. I believe the Millionaire Next Door mentions the advantages of buying one quality pair of dress shoes that last over the years (~$250), compared to buying cheap ones each year at ~$100. Just assuming the quality pair last longer than three years, you save $50! Frugality is getting the most value per dollar spent – very important distinction learned and used today! Personal finance can become such an obsession or dream or goal in your life that it’s the only thing you focus on. Debt is draining. Savings are important. But even more so are the people and experiences in your life that make you happy. I struggle with this as someone who strives to become debt-free. Every single penny I can conjure up each month is saved, so it can become exhausting and tough when you aren’t living or enjoying your life at the same time. I’m for short-term sacrifices, but some months $500 saved and $100 spent on an experience is worth it to me, if and only if I make that decision on reason and rationality versus impulse. Money is our tool to wield for the life we want, so use it to maximize that happy life you want sometimes! It really means control over my time and my life. Let me dive into another example from a time in college. When I was studying for a bachelor’s degree, I had a community service requirement to complete for one of my classes. Unfortunately, with the work and class schedule decided on before the semester started, the only place that matched up with my availability was the landfill. It wasn’t the most fun I had volunteering (who knew so many people needed assistance getting their trash out of the truck), but it did lead to meeting one helluva cool older gentleman! I can’t remember his name (we’ll call him George), although he had an interesting influence on me. He happened to work in the same area I was assigned to my first day, and just like any two people do when their bored working at the landfill, we started to chat about life. George talked about his past that led to his current situation working at the landfill. It had nothing to do with him needing money or a job. It was something he decided to do because work was enjoyable to him, plus if he stayed for five years (another two years for him at that point), then he’d add yet another retirement account into his coffers each month. IT WOULD BE HIS 5th ONE! He had owned and sold two businesses which he negotiated a retirement package for himself, worked long enough at a third company to receive pension checks, and added social security that year. Now that led me to really start listening. Here was a regular guy, financially independent, who had a total of four retirement checks coming into his account while working on his fifth. George said they would use the retirement checks after his fifth year at the landfill to travel the world. I tell a little bit about this because the next piece really cemented what financial independence would be like and demonstrates it well. Even though many at the landfill most likely found this frustrating, to me it was enlightening. Anytime the supervisors tried to put George into a booth or job for the day that he didn’t want to do, guess what happened? He said no, and that’s how he ended up working in the booth with me that day. They typically rotated throughout the year, but not George. Since he was pretty much a volunteer and was there because he wanted to, not forced by debt or need, he told me that they needed the help and didn’t have many options. In other words, if they wanted him to help and come to work, then they better put him in that booth or he was outta there! That’s what we can call F-You Money at the Duke of Dollars Kingdom. That’s the power of financial independence to me in the form of an anecdote. I never expected to love the library quite so much. Save money and gain knowledge = frugality at its finest! Use the Progressive Overload Mental Model to start small, gradually adding new techniques, frugal lifestyle changes, investments, and savings to your repertoire. These small additions result in huge results later in your life. In other words, your older self will be thankful you started early! Check out our post on increasing your income by managing your career & side hustling! 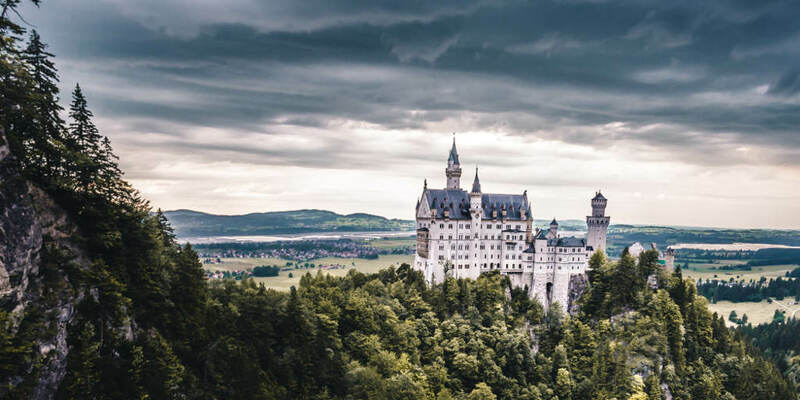 I feel that “saving for retirement” or “saving for an emergency” feels negative – like you aren’t living your life or spending money for happiness but instead for something that may never happen. The satisfaction that comes from setting goals for your money, knowing you can handle emergencies, being able to afford gifts for people you care about, and directing your money to be spent in areas that brings you joy makes life awesome! 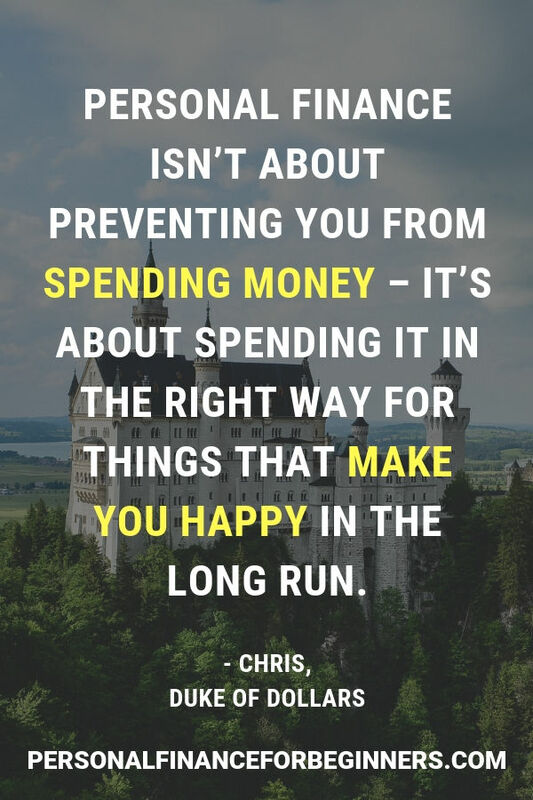 Personal finance isn’t about preventing you from spending money – it’s about spending it in the right way for things that make you happy in the long run. Tracking my spending using Mint and Excel to see how I’m doing each month, each year, and trends over time. For those who love data, I find it wonderful to take a look at the differences in income, savings, and travel expenses throughout the years. Travel hacking with credit cards has helped me take many trips, yet the travel expenditures have stayed consistent. Healthy food from the grocery store! The Millionaire Next Door – what a wonderful mindset and evidence against the wide-spread belief of high income being equivalent to wealth. Jack and I both have the goal to help the world, thanks to the inspiration from those who have helped us along the way! Our text message conversations about money felt like general knowledge that could be passed on, and seeing as it was mostly me who was clueless on what to do at first, we decided it might be a way to help out others in the same situation! Thus, Duke of Dollars was born with a simple roadmap for others to follow with motivation to build their own kingdom! Short and sweet to demonstrate the power of finding assets that produce money for your bank accounts while you sleep, letting you enjoy the fruits of that labor in your life! Thanks for having us on your blog Aaron – we are huge fans and look forward to learning more from you as you hustle with a full-time job!